Spindle Fire was one of my favorite retellings of 2017. For those of you who don't know, retellings are my absolute favorite kinds of books to read! Spindle Fire was unique and exciting and I could not wait to get my hands on the second book. When I had the opportunity to review an early copy, of course I took it! 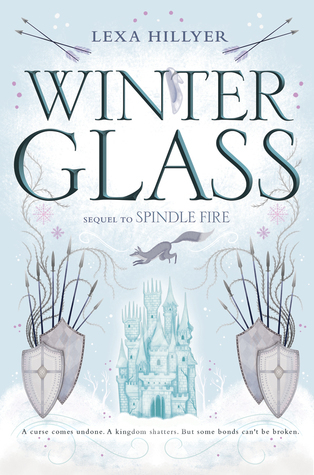 Winter Glass picks up shortly after Spindle Fire with Aurora and Isbe going their separate ways to do what they believe to be best for their kingdom. For Isbe that looks like a future with William, fighting Malfleur and her army. For Aurora the battle is fought in a much different way that takes her far from home. Both these characters continued to be amazing and I loved them throughout this story. Aurora, having had such an intense experience in Spindle Fire, continues to show her strengths in surprising ways. She was constantly questioning things about herself and had some incredible character growth throughout this book. I'll admit I found her a bit irritating to read at times during Spindle Fire, but she definitely won me over completely here. I will say that Isbe is definitely my favorite and I loved all of her self discovery and relationships. She was my favorite in book one and I still love her at the end of the duology! I was so invested in her journey, I couldn't wait to see what happened next! I also really loved every second of Malfleur. Like all great fairytale evil queens, she's that kind of amazing character you hate, but also can't get enough of. Like in Spindle Fire, the story here goes to places you might not expect. The romances, relationships, and self discoveries will keep you guessing, as will the twists and turns. One of my favorite things about this book is that it branches off from just a Sleeping Beauty retelling and also becomes a Cinderella retelling. Seriously, give me ALL the retellings in one book and I will read it! Don't get too comfortable though, because this is not Cinderella like you've read before. Like with the first book, this is an incredibly unique take on a well-known story. Lexa Hillyer also knows how to write an amazing fairytale world. I felt like I was in the world alongside the characters. I love it when an author can make me picture such a rich, gorgeous world while I'm reading. More fairytale worlds, please! Speaking of writing, I'm usually not a fan of books written from multiple points of view, but it worked here. The only time I didn't enjoy it was when the point of view was from a random character who wasn't very important to the story, but luckily that wasn't often. Alas, Winter Glass was not a perfect read for me. My main issue with this book was that it was a bit slow at times. This was also something I struggled with while reading the first installment. 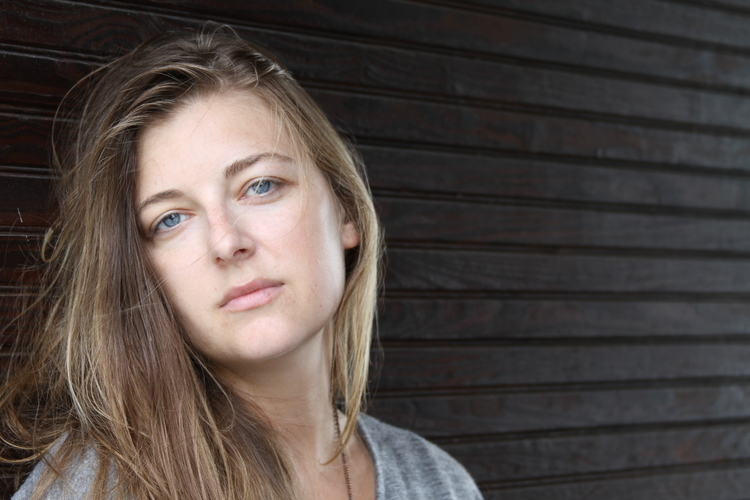 I've never loved poetic or flowery prose and Lexa Hillyer's writing is so lyrical that it's difficult to read at times. The tense the book is written in is also difficult to adjust to. Luckily, it all pays off because this book is beautiful! Winter Glass was an incredible ending to a wonderfully unique retelling duology that I absolutely recommend to fans of the genre. The writing might take some getting used to for some readers, but it's totally worth the investment. This book was packed full of likable characters, a plot that will keep you guessing, and a beautifully written fairytale world. I'm sad to see it end, but I'll definitely be on the lookout for anything else Lexa writes in the future!